We are pleased to offer 52 one & two bedroom apartments set within a six storey block, forming part of a larger development. These thoughtfully designed apartments will provide spacious contemporary living space in the heart of the City. 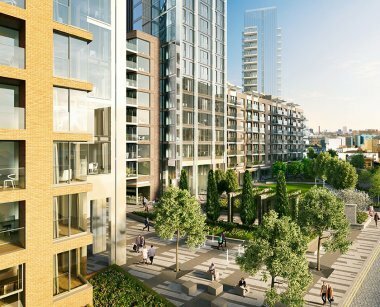 Ideal for commuting it is just a short walk to three underground stations (Aldgate, Aldgate East and Tower Hill), Tower Gateway DLR station and Fenchurch Street mainline station, giving you access across London and beyond. The apartments are also ideally placed for leisure being in close proximity to Whitechapel Art Gallery, The Globe Theatre, Spitalfields Market, The Tower of London and much more.